As you all know, The Blot is a HUGE fan of Disney’s 2 hour animated television programming block from the 1990s and their original series like DuckTales, TaleSpin, Darkwing Duck and Chip ‘n Dale Rescue Rangers! Now all four series are back as a super cute Disney Animated Mystery Minis Blind Box Series. Now if only Funko had included the original Disney Afternoon cartoon, Adventures of the Gummi Bears! 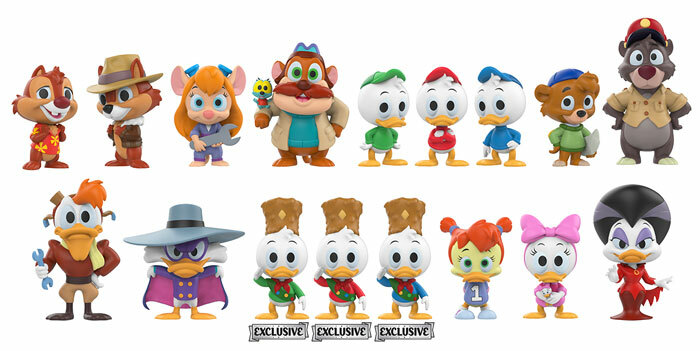 The Disney Afternoon Mystery Minis Blind Box Series includes 2.5” mini figures of Scrooge McDuck, Huey, Dewey, Louie, Webby, Darkwing Duck, Launchpad McQuack, Gosalyn, Baloo, Kit, Chip, Dale, Monterey Jack with Zipper, Gadget and many, many more! Plus, be on the lookout for some GameStop, Toys R Us and Hot Topic exclusive Mystery Minis as well. 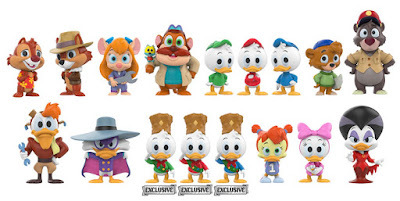 The Disney Afternoon Mystery Minis Blind Box Series can be pre-ordered now at Entertainment Earth! 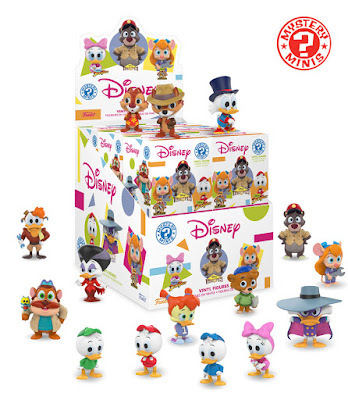 A full case of twelve Disney Animated Series Mystery Minis Series blind boxes can be purchased for $67.99 here or a 4 pack of blind boxes for $24.99 here.